I just purchased 9 acres of property (mostly nice lawn). The property is rolling hills, firm soil. 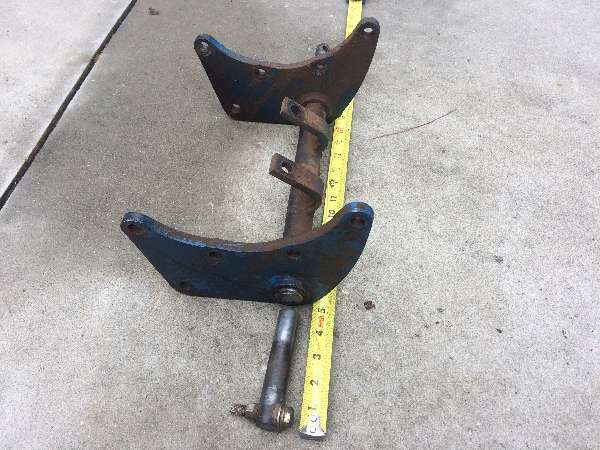 I am looking for something I can a attach a plow, tiller and mower deck to. I would like the yard to look nice. I have been looking at the JD 790 and the Kubota L3400. Any suggestions? I currently have a JD GT235 with a 48" deck, but obviously need to upgrade since I do have other things to do. I have a 790 and use it for a similar size property, although with different attachments. If had mostly lawn I think I would have ordered it with the 60"mid-mount mower or 72" rear mower instead of the rear rotary mower I got. It is a great machine and will suit you well at an affordable price. Now that I have purchased a rear mower I find it to be a very good lawn cutter. I am sure the Kubota is a good machine, but I can't comment on them as I've never operated one. I am a green kinda guy and have nothing but great things to say about the 790 but the L3400 looks to be a very competitive model to the 790 and have some advantages in areas such as wet disk brakes and a few more ponies. In this case, I would say it would have to boil down to the dealer and the ergonomics or the tractor controls and seating. Although both will pull a plow; in my opinion they are both at the lower limits of hp to pull a plow and may have difficulty depending upon soil conditions. Both are damn nice machines and in the end it will come down to your impessions and preference after demo'ing both machines. Good luck and I think you will be very happy with either.